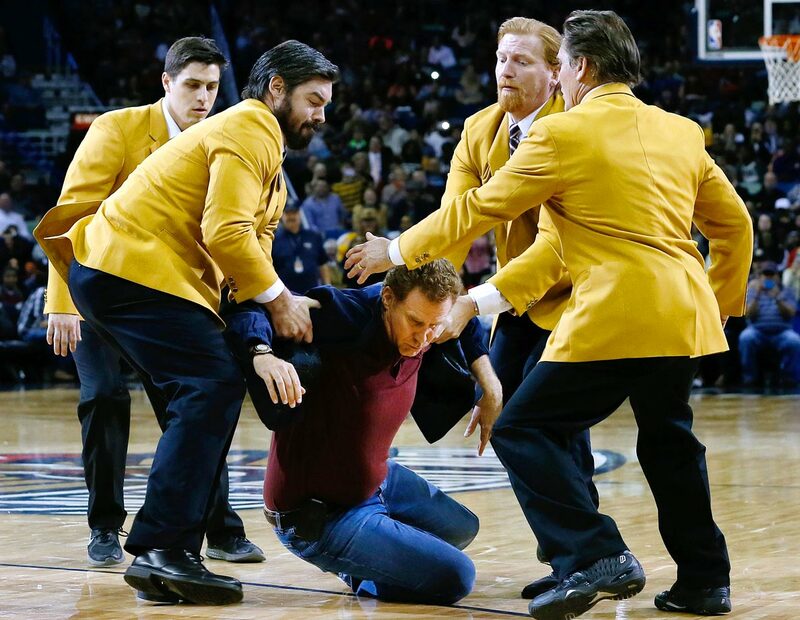 Will Ferrell is dragged by actors dressed as security guards while filming part of a scene for the motion picture "Daddy's Home" during halftime of the New Orleans Pelicans game against the Los Angeles Lakers on Jan. 21, 2015 at the Smoothie King Center in New Orleans. 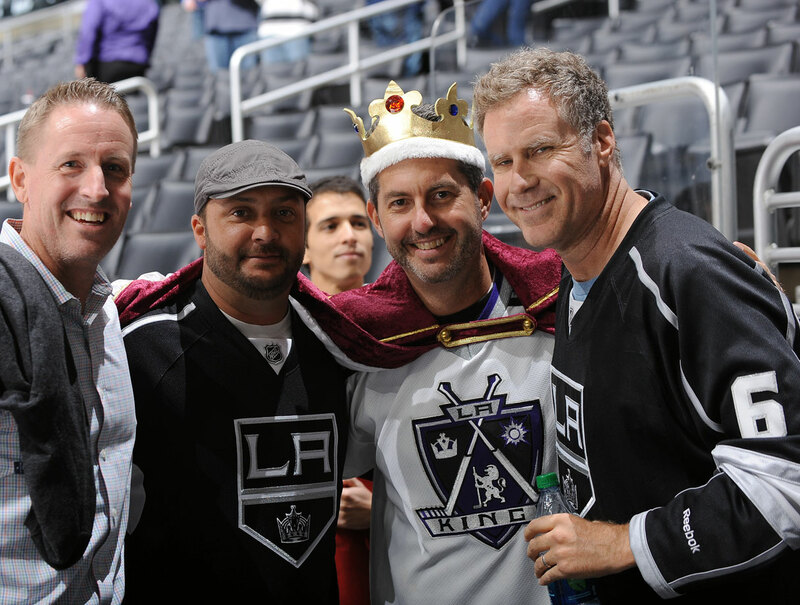 Will Ferrell poses for a photo with fans after the Los Angeles Kings loss to the New York Islanders on Nov. 6, 2014 at Staples Center in Los Angeles. 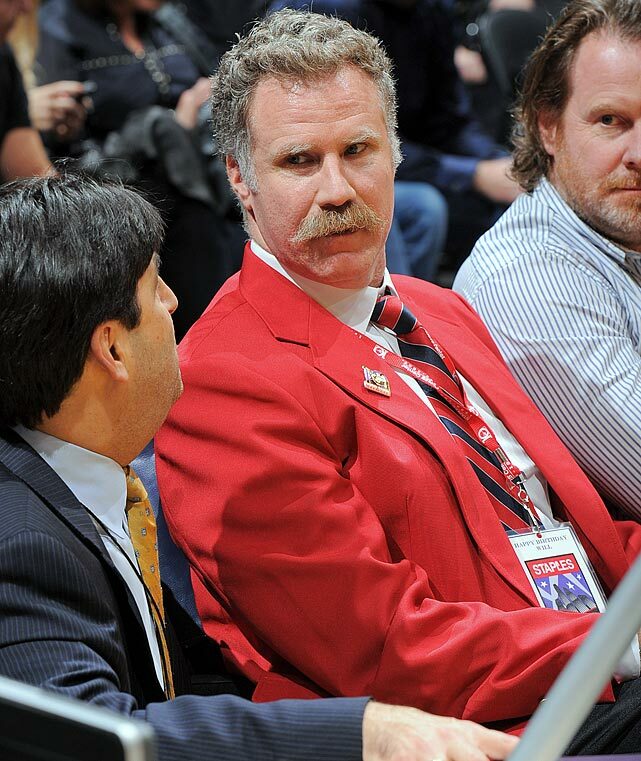 Will Ferrell attends the Los Angeles Lakers game against the Houston Rockets on Oct. 28, 2014 at at Staples Center in Los Angeles. 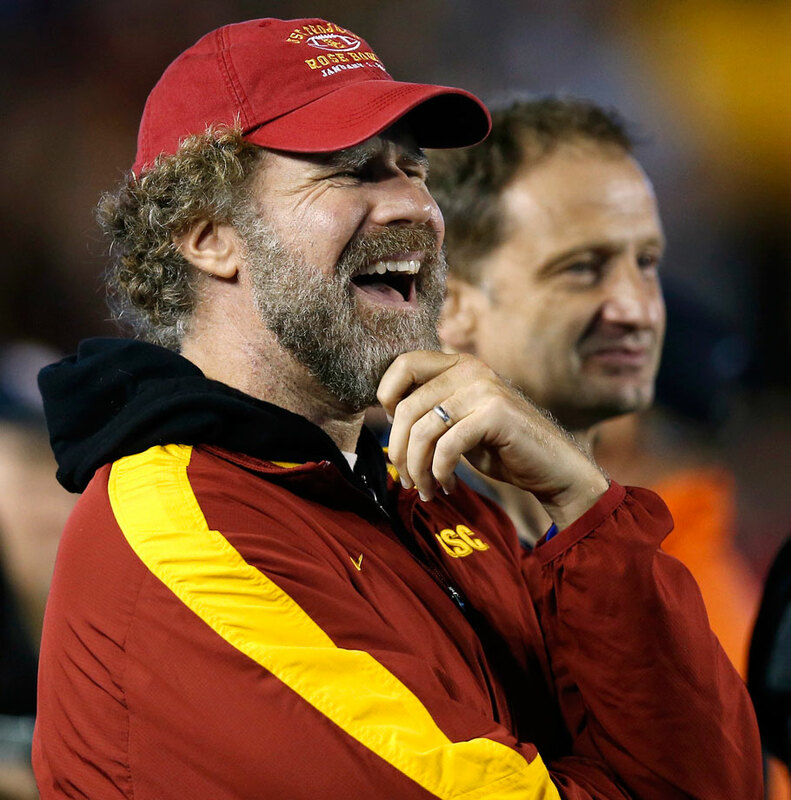 Will Ferrell has a laugh along the sidelines during the USC Trojans game against the Boston College Eagles on Sept. 13, 2014 at Alumni Stadium in Chestnut Hill, Mass. 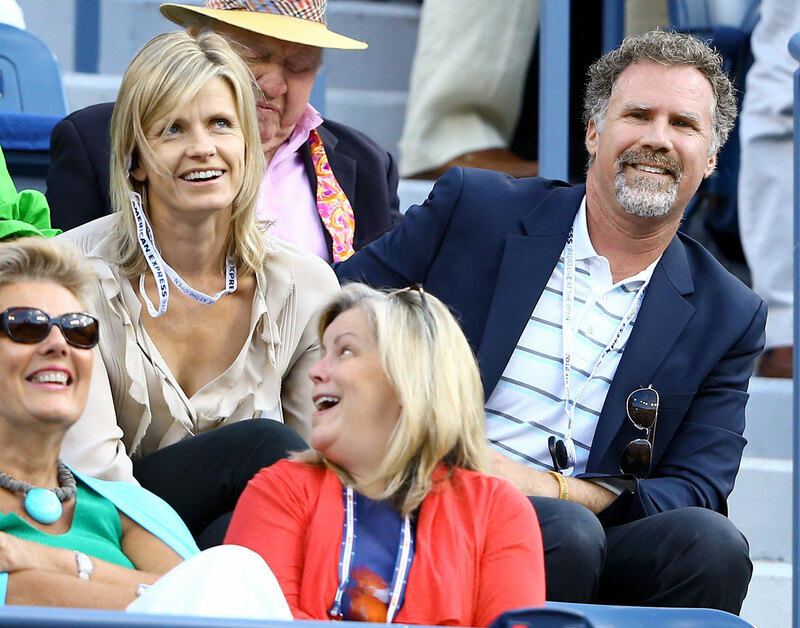 Luke Wilson, Will Ferrell and Ferrell's son Mattias watch the match between Roger Federer and Marcel Granollers on Day 7 of the US Open on Aug. 31, 2014 at the USTA Billie Jean King National Tennis Center in Flushing, N.Y.
Will Ferrell meets Andy Murray of Great Britain on Day 6 of the US Open on Aug. 30, 2014 at the USTA Billie Jean King National Tennis Center in Flushing, N.Y.
Will Ferrell, wife Viveca and son Mattias attend Day 5 of the US Open on Aug. 29, 2014 at the USTA Billie Jean King National Tennis Center in Flushing, N.Y.
Will Ferrell poses with Luc Robitaille during Game One of the Stanley Cup Final between the Los Angeles Kings and New York Rangers on June 4, 2014 at Staples Center in Los Angeles. 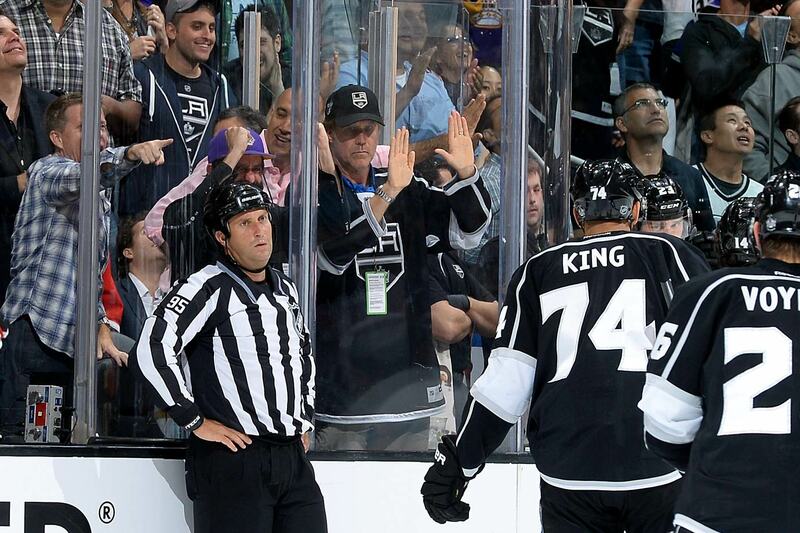 Will Ferrell cheers during Game Six of the Western Conference Final between the Los Angeles Kings and Chicago Blackhawks on May 30, 2014 at Staples Center in Los Angeles. 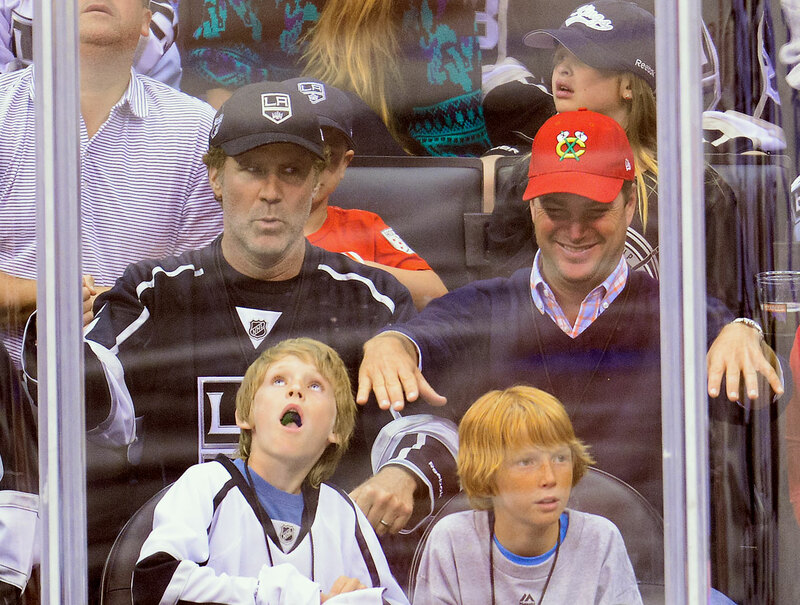 Will Ferrell and Chris O'Donnell attend Game Four of the Western Conference Final between the Los Angeles Kings and Chicago Blackhawks on May 26, 2014 at Staples Center in Los Angeles. 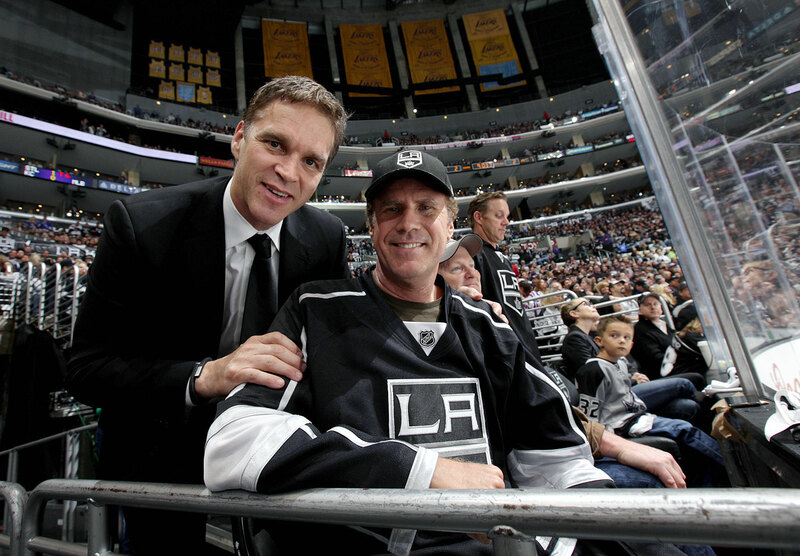 Will Ferrell watches Kings defenseman Jake Muzzin give his stick to Ferrell's son Magnus after Game Four of the Western Conference Final between the Los Angeles Kings and Chicago Blackhawks on May 26, 2014 at Staples Center in Los Angeles. 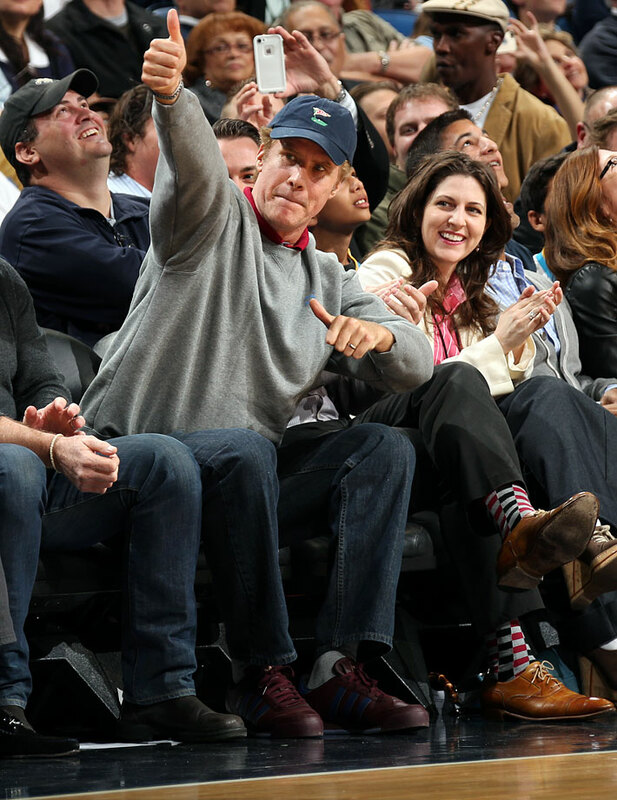 Will Ferrell attends the New Orleans Pelicans game against the Los Angeles Clippers on March 26, 2014 at the Smoothie King Center in New Orleans. 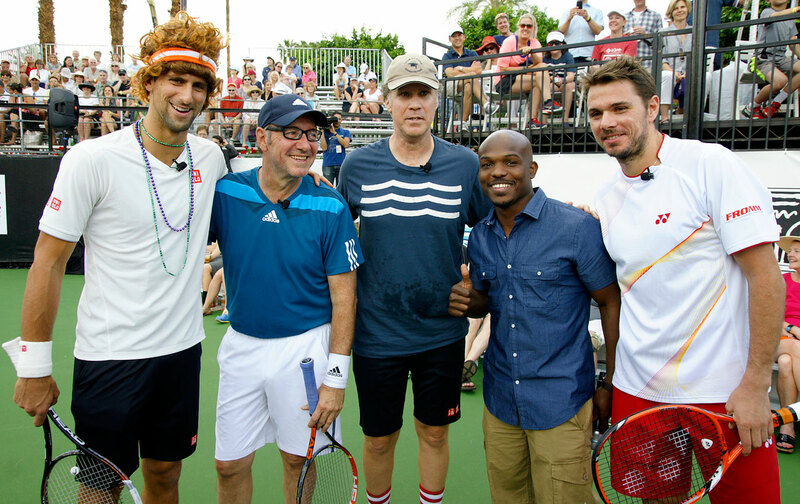 Novak Djokovic, Kevin Spacey, Will Ferrell, Tim Bradley and Stan Wawrinka pose together during the 10th Anniversary Desert Smash on March 4, 2014 at La Quinta Resort and Club in La Quinta, Calif.
Will Ferrell meets Frank Robinson during the Los Angeles Lakers game against the Los Angeles Clippers on March 6, 2014 at Staples Center in Los Angeles. 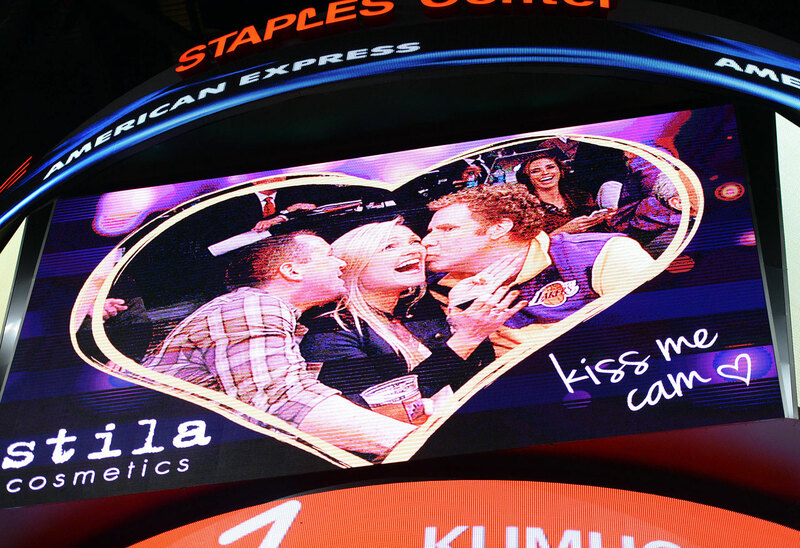 Will Ferrell is shown on the kiss cam during the Los Angeles Lakers game against the Los Angeles Clippers on March 6, 2014 at Staples Center in Los Angeles. 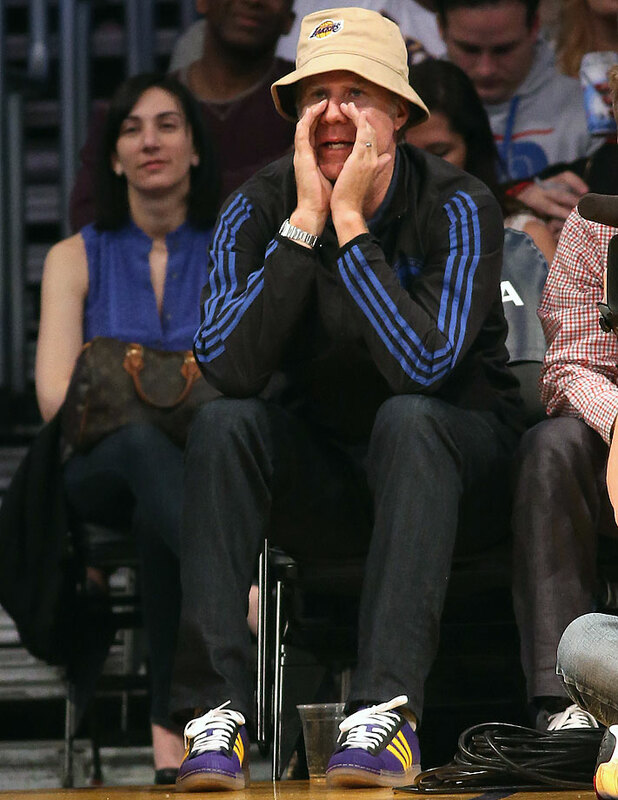 Will Ferrell shouts during the Los Angeles Lakers game against the Sacramento Kings on Feb. 28, 2014 at Staples Center in Los Angeles. 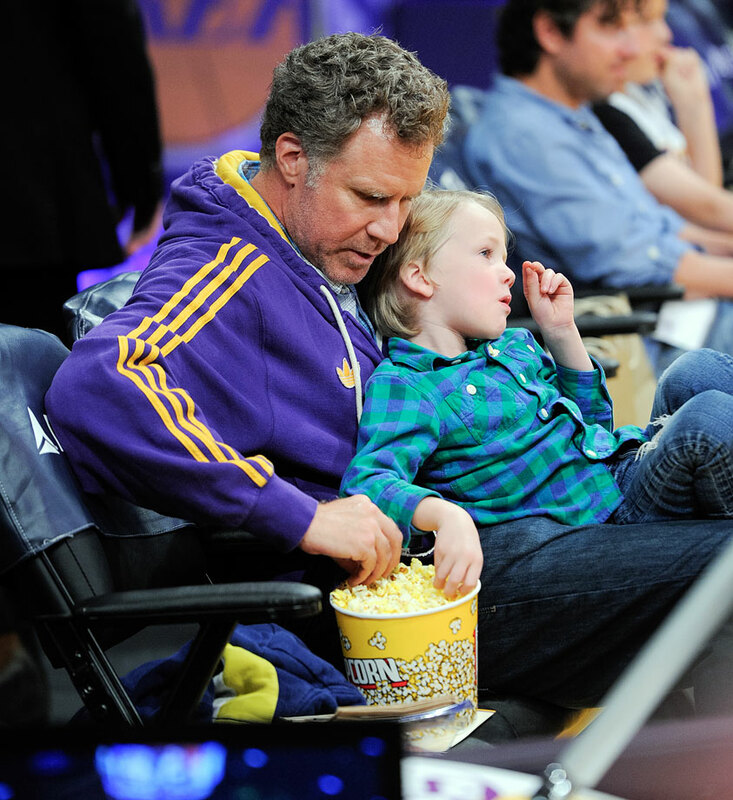 Will Ferrell and his son Axel eat popcorn during the Los Angeles Lakers game against the Brooklyn Nets on Feb. 23, 2014 at Staples Center in Los Angeles. 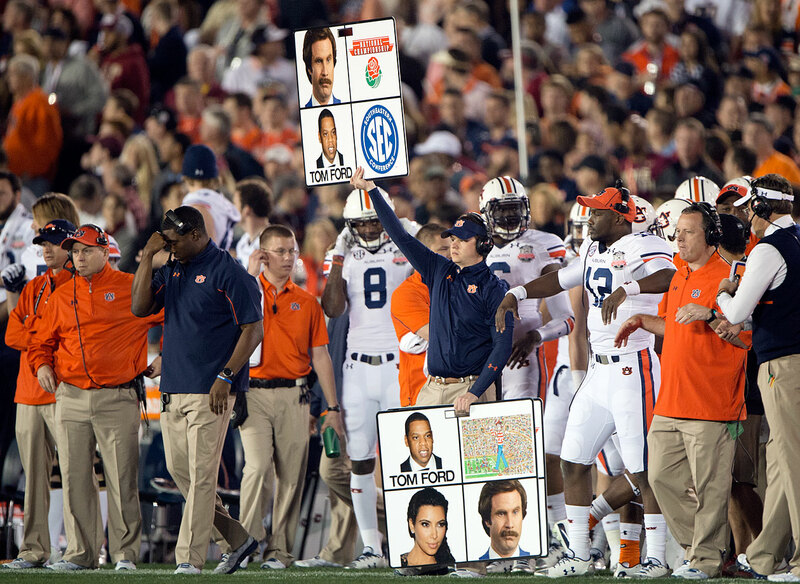 An assistant for the Auburn Tigers holds up play cards with the faces of Ron Burgundy, Jay-Z and Kim Kardashian during the BCS Championship Game between Auburn and the Florida State Seminoles on Jan. 6, 2014 at the Rose Bowl in Pasadena, Calf. 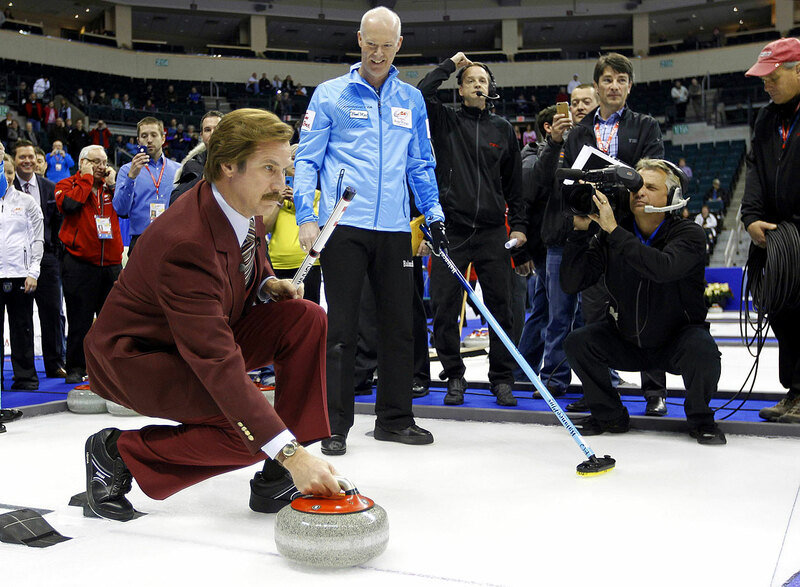 Will Ferrell, as Ron Burgundy, receives instructions from Skip Glenn Howard prior to the start of the Roar of the Rings Canadian Olympic Curling Trials on Dec. 1, 2013 in Winnipeg, Canada. 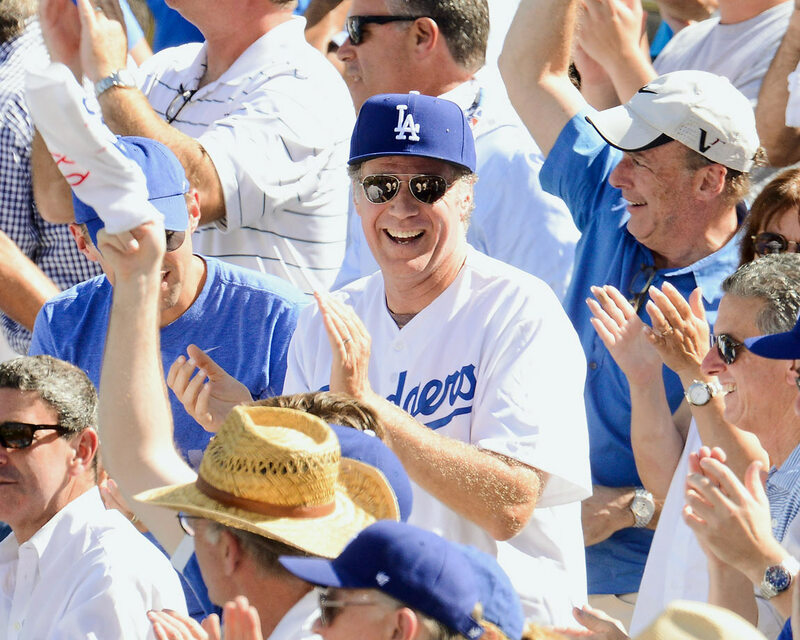 Will Ferrell attends Game Five of the NLCS between the Los Angeles Dodgers and St. Louis Cardinals on Oct. 16, 2013 at Dodger Stadium in Los Angeles. 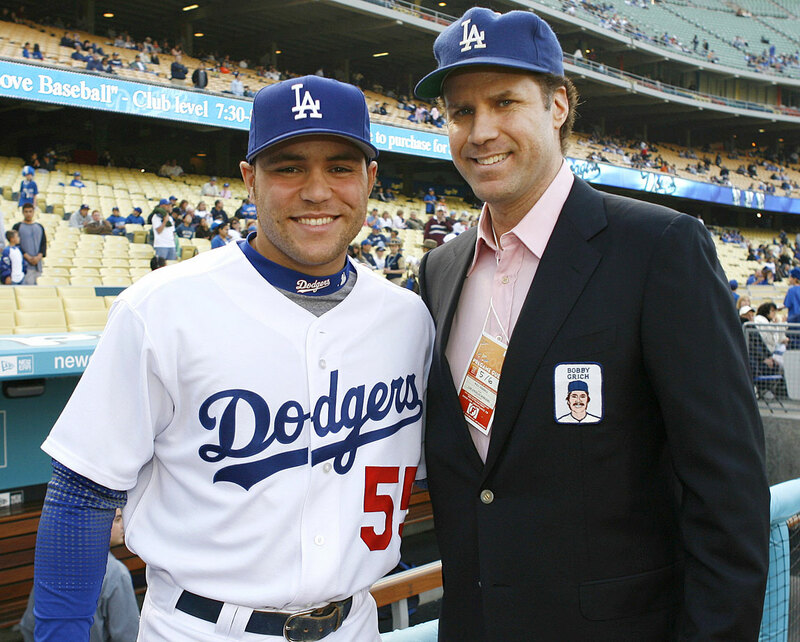 Ferrell announced player introductions for the Dodgers prior to the game, which included: "Adrian 'Ay, ay, ay, ay, ay, ay, ay' Gonzalez!" "Andre 'I Know You Didn't' Ethier!" "He says the Chupacabra is real: Yasiel Puig!" "He absolutely loves Katy Perry: Juan Uribe!" "Today's winning pitcher: Zack Greinke!" 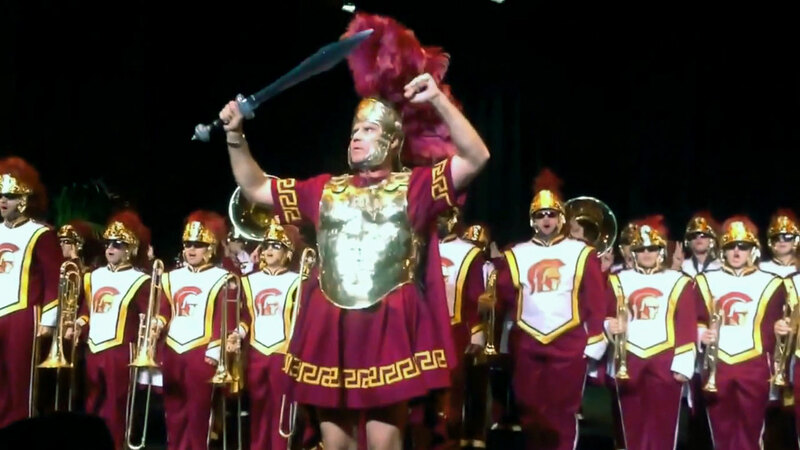 Will Ferrell leads the USC marching band, The Spirit of Troy, on Oct. 14, 2013 at the University of Southern California in Los Angeles. 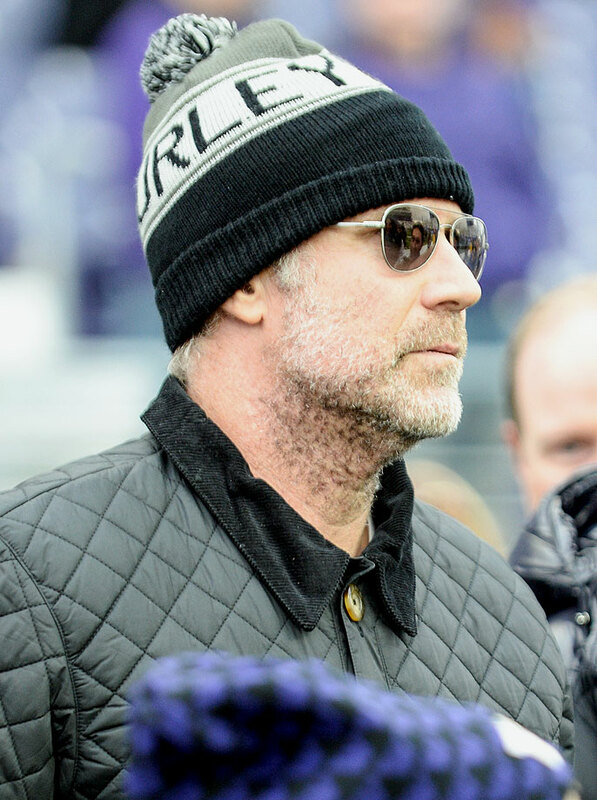 Will Ferrell attends the Washington Huskies game against the Oregon Ducks on Oct. 12, 2013 at Husky Stadium in Seattle. 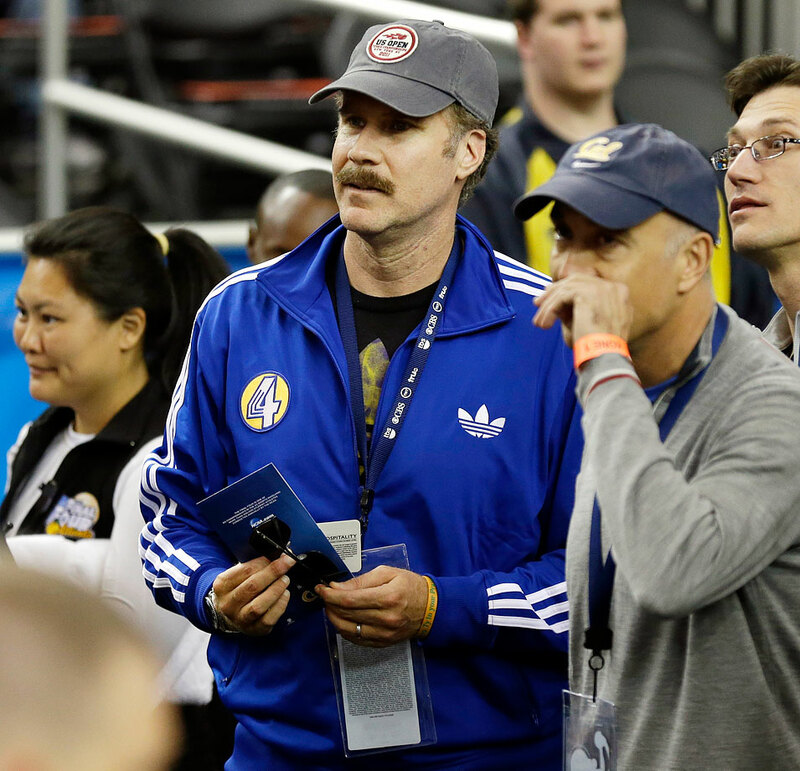 Will Ferrell arrives for the NCAA Final Four game between the Louisville Cardinals and Wichita State Shockers on April 6, 2013 at the Georgia Dome in Atlanta. 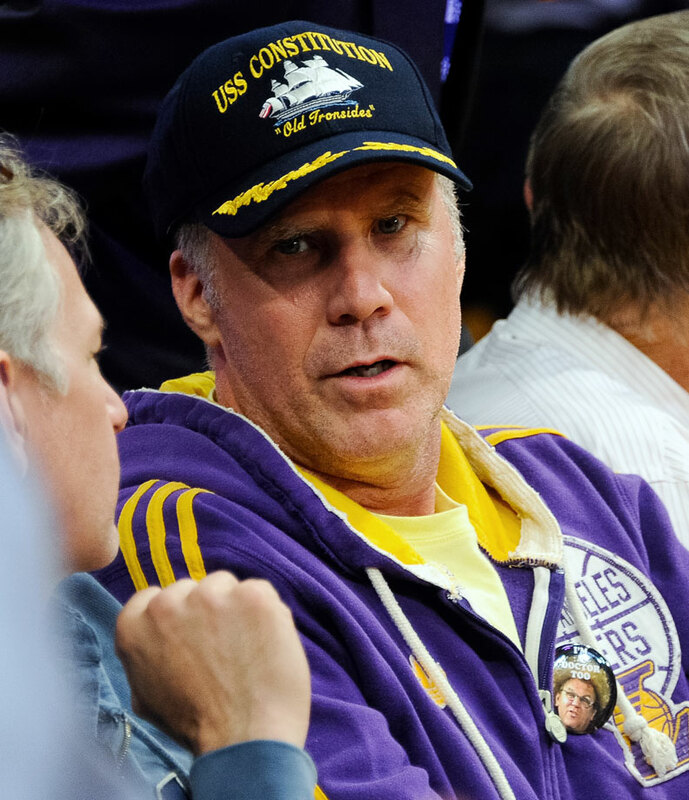 Will Ferrell, dressed as a security guard, attends the Los Angeles Lakers game against the Phoenix Suns on Feb. 12, 2013 at Staples Center in Los Angeles. 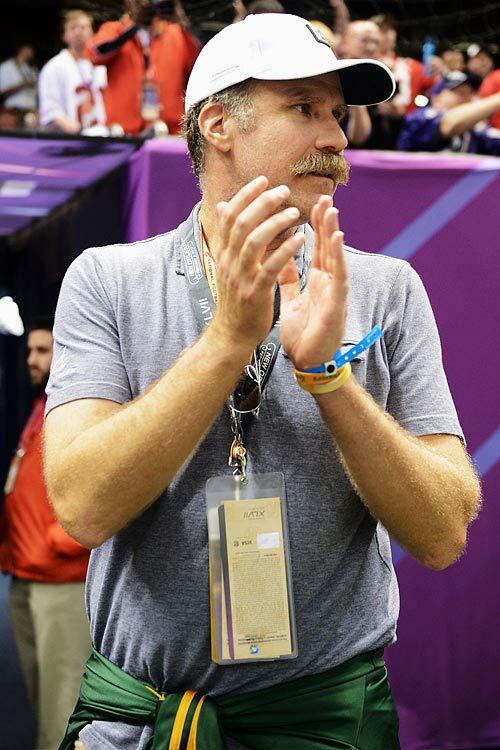 Will Ferrell attends Super Bowl XLVII between the San Francisco 49ers and Baltimore Ravens on Feb. 3, 2013 at the Mercedes-Benz Superdome in New Orleans. 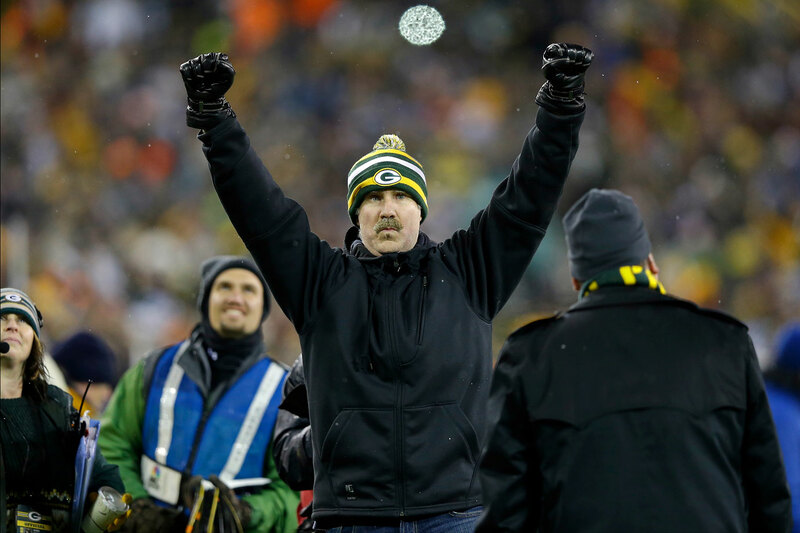 Will Ferrell helps get the crowd to sing "Roll Out The Barrel" during the Green Bay Packers game against the Detroit Lions on Dec. 9, 2012 at Lambeau Field in Green Bay, Wis.
Will Ferrell talks with Mark Wahlberg prior to the Los Angeles Lakers game against the Denver Nuggets on Nov. 30, 2012 at Staples Center in Los Angeles. 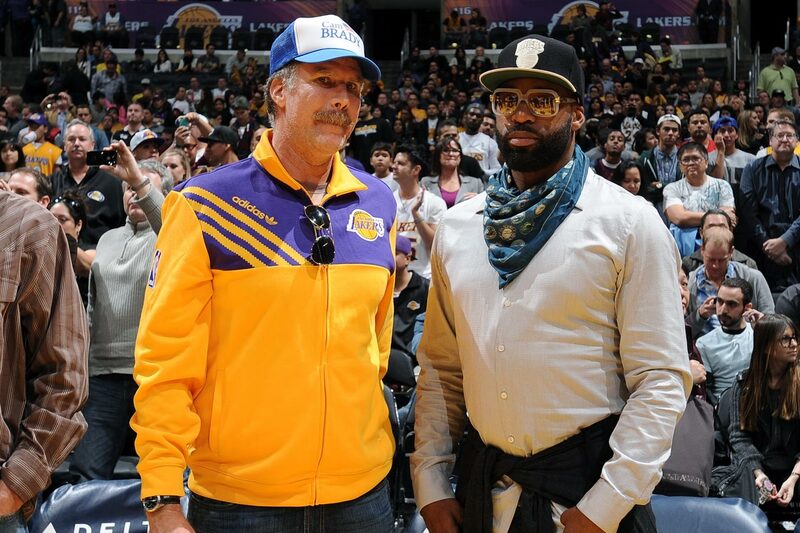 Will Ferrell poses with Baron Davis prior to the Los Angeles Lakers game against the Sacramento Kings on Nov. 11, 2012 at Staples Center in Los Angeles. Will Ferrell and his wife Viveca attend the match between Serena Williams and Victoria Azarenka on Day 14 of the US Open on Sept. 9, 2012 at the USTA Billie Jean King National Tennis Center in Flushing, N.Y.
Will Ferrell and Chris Bosh pose together at DoSomething.org and VH1's 2012 Do Something Awards on Aug. 19, 2012 at Barker Hangar in Santa Monica, Calif.
Will Ferrell looks to Zach Galifianakis for money to pay a pizza delivery girl prior to throwing out the first pitch for the Chicago Cubs game against the Florida Marlins on July 18, 2012 at Wrigley Field in Chicago. 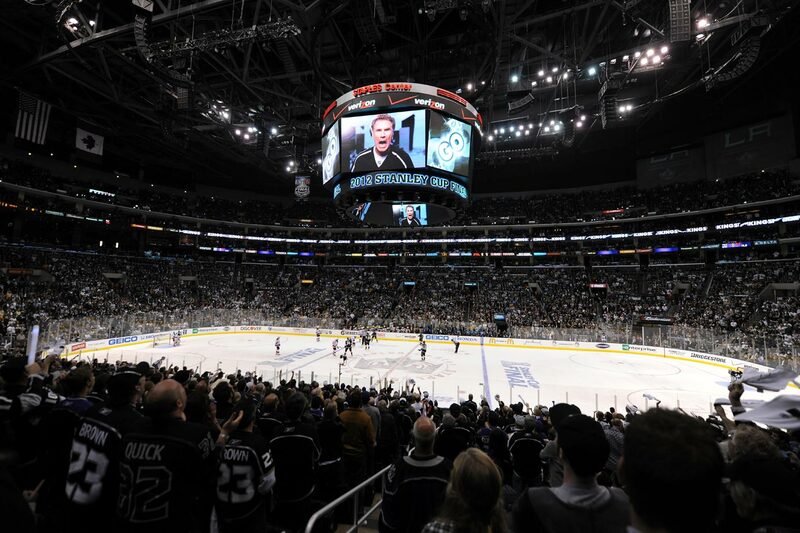 Will Ferrell, appearing on the jumbotron, gets the crowd pumped up during Game Four of the Stanley Cup Final between the Los Angeles Kings and New Jersey Devils on June 6, 2012 at Staples Center in Los Angeles. 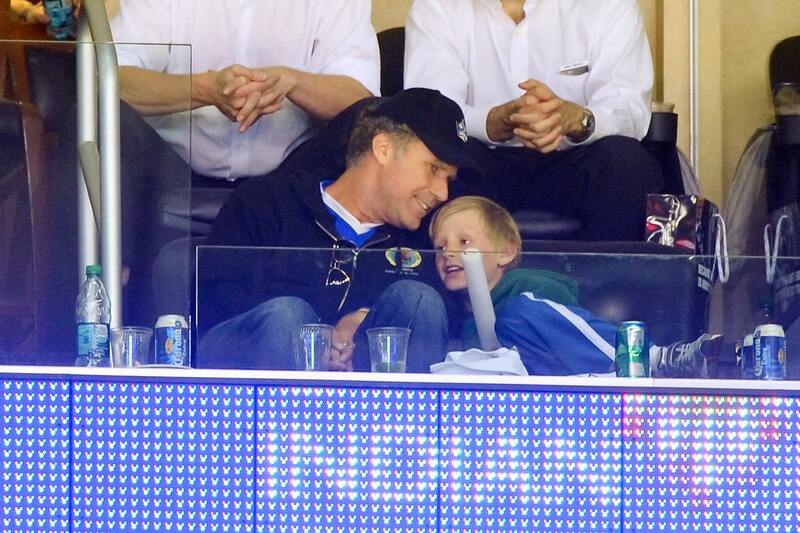 Will Ferrell and his son Magnus attend Game Three of the Stanley Cup Final between the Los Angeles Kings and New Jersey Devils on June 4, 2012 at Staples Center in Los Angeles. 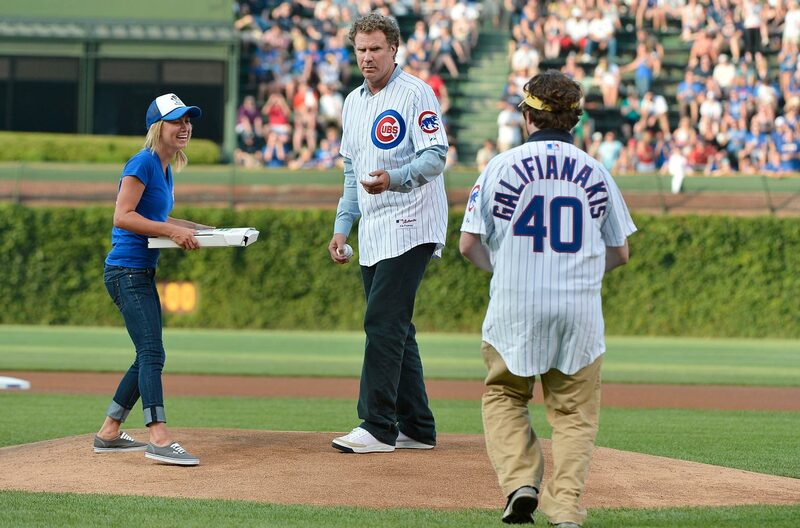 Will Ferrell receives treatment for a fake injury during the England vs. Rest of the World Soccer Aid, in aid of UNICEF, on May 27, 2012 at Old Trafford in Manchester, England. 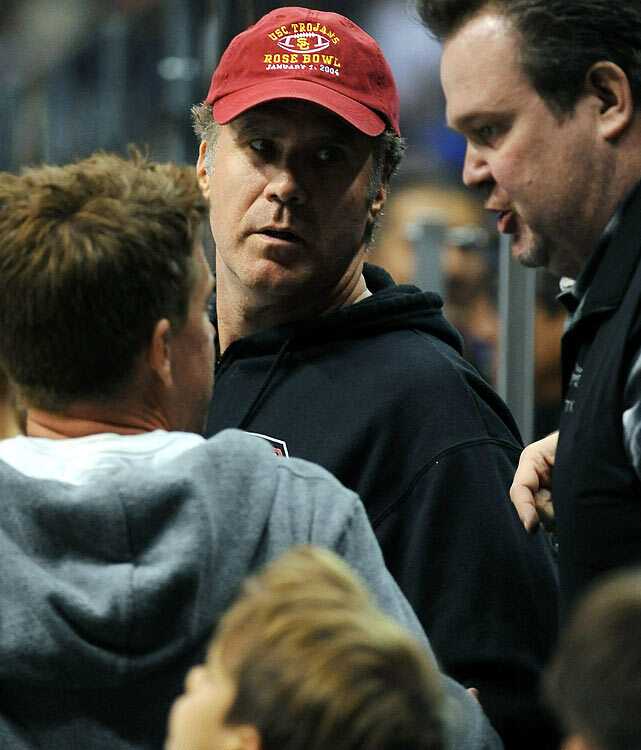 Will Ferrell and Eric Stonestreet attend Game Three of the Western Conference Quarterfinals between the Los Angeles Kings and Vancouver Canucks on April 15, 2012 at Staples Center in Los Angeles. 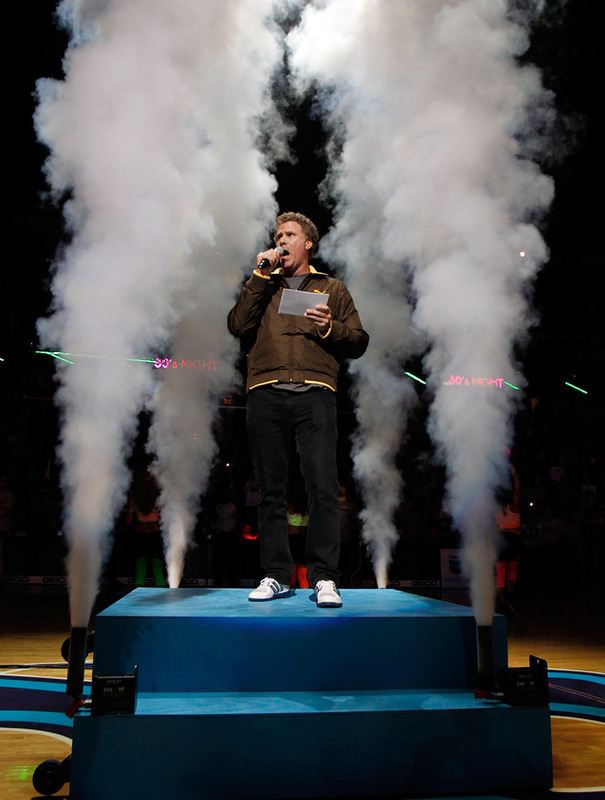 Will Ferrell does the player introductions for the New Orleans Hornets game against the Chicago Bulls on Feb. 8, 2012 at the New Orleans Arena in New Orleans. 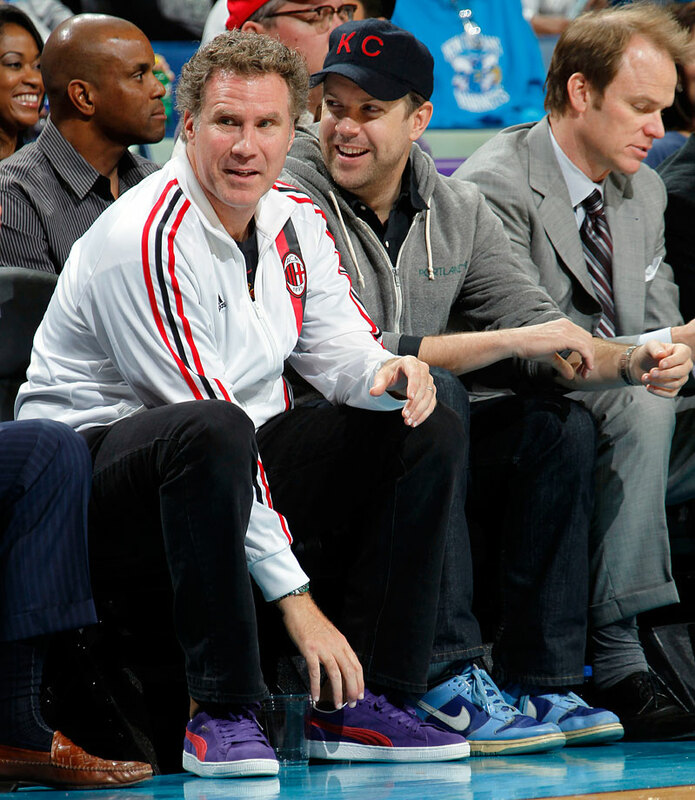 Will Ferrell and Jason Sudeikis attend the New Orleans Hornets game against the Orlando Magic on Jan. 27, 2012 at the New Orleans Arena in New Orleans. 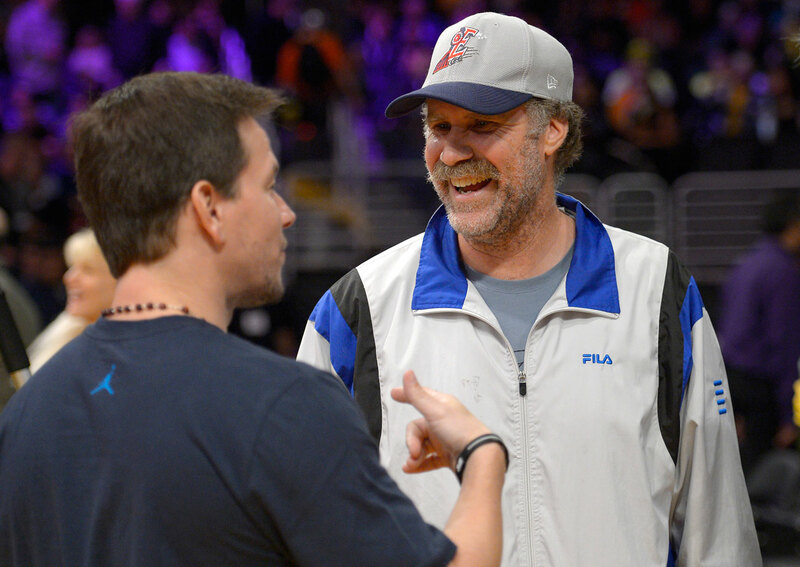 Will Ferrell and John C. Reilly kiss during the Los Angeles Lakers game against the Dallas Mavericks on May 2, 2011 at Staples Center in Los Angeles. 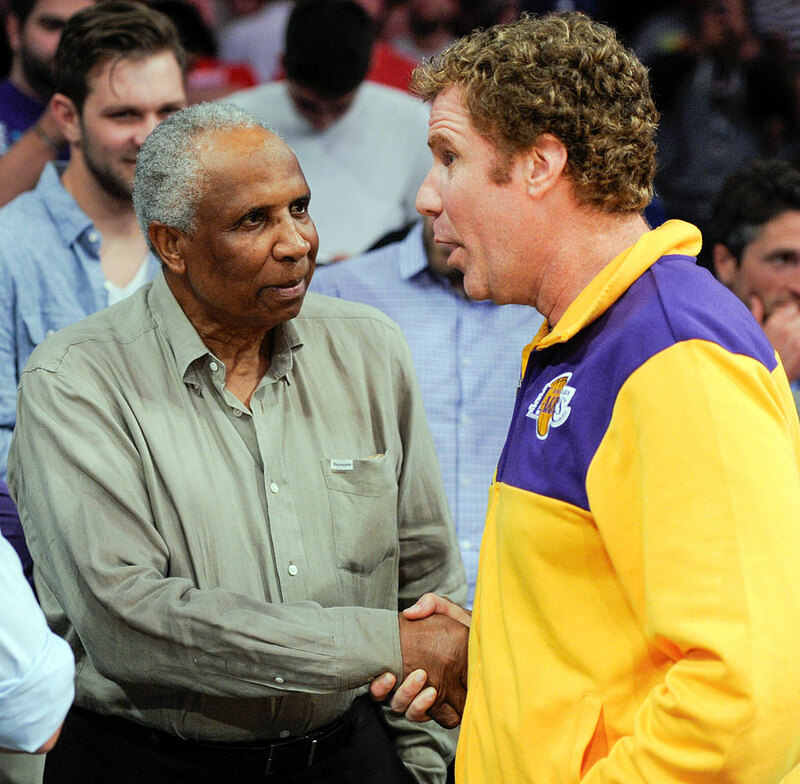 Will Ferrell and David Beckham attend the Los Angeles Lakers game against the New Orleans Hornets on April 20, 2011 at Staples Center in Los Angeles. Will Ferrell watches his son Magnus meet Novak Djokovic as Randy Jackson looks on before practice during the BNP Paribas Open on March 12, 2011 at the Indian Wells Tennis Garden in Indian Wells, Calif.
Will Ferrell eats a burger during the Los Angeles Lakers game against the Phoenix Suns on Nov. 14, 2010 at Staples Center in Los Angeles. Will Ferrell, Danica Patrick and Luke Wilson pose backstage at the ESPY Awards on July 14, 2010 at Nokia Theatre L.A. Live in Los Angeles. 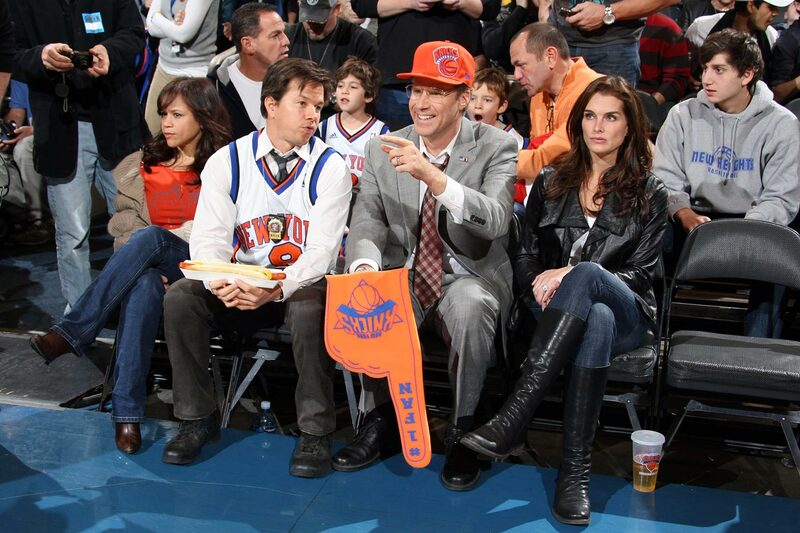 Mark Wahlberg and Will Ferrell film a scene for their movie "The Other Guys" alongside Rosie Perez and Brooke Shields during the New York Knicks game against the Boston Celtics on Nov. 22, 2009 at Madison Square Garden in New York City. 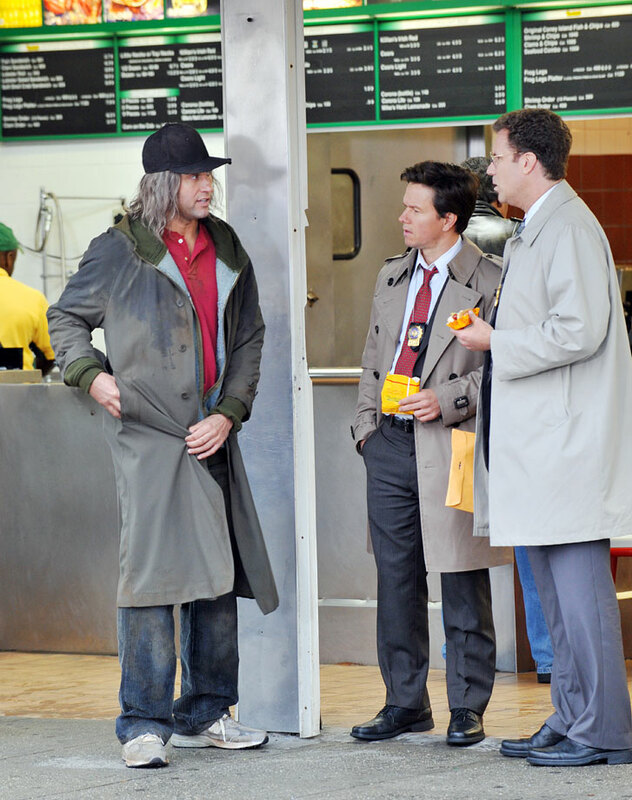 Derek Jeter, Mark Wahlberg and Will Ferrell film a scene for "The Other Guys" on Nov. 12, 2009 at Nathan's Famous in Coney Island, N.Y.
Will Ferrell hits forehands as Andy Roddick, Maria Sharapova, Serena Williams and Roger Federer look on and laugh during the Arthur Ashe Kids Day on Aug. 29, 2009 at the USTA Billie Jean King National Tennis Center in Flushing, N.Y.
Will Ferrell impersonates James Blake during the Arthur Ashe Kids Day on Aug. 29, 2009 at the USTA Billie Jean King National Tennis Center in Flushing, N.Y.
Will Ferrell attends the World Football Challenge between Chelsea and Inter Milan on July 21, 2009 at the Rose Bowl in Pasadena, Calif.
Will Ferrell competes with an oversized racquet at the K-Swiss Global Tennis Showdown to benefit the Swedish School of LA on May 2, 2009 at the UCLA Tennis Center in Los Angeles. 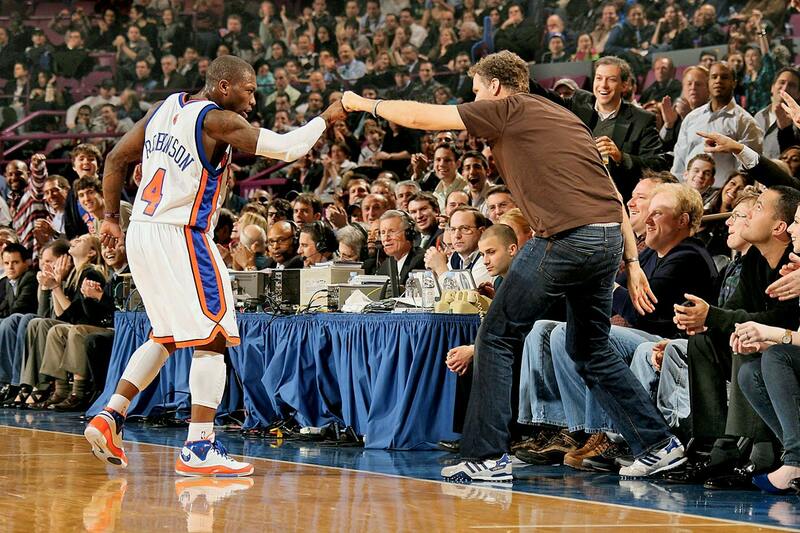 Nate Robinson and Will Ferrell do a little "Shake and Bake" during the New York Knicks game against the Indiana Pacers on Feb. 23, 2009 at Madison Square Garden in New York City. 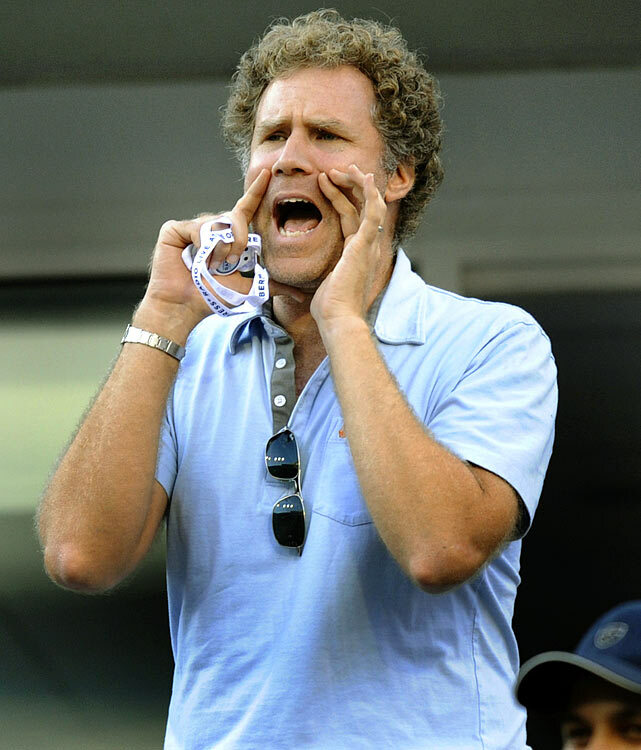 Will Ferrell yells during the match between Rafael Nadal and Andy Murray during the US Open on Sept. 7, 2008 at the USTA Billie Jean King National Tennis Center in Flushing, N.Y.
Will Ferrell accepts the Best Male Athlete Award for Tiger Woods during the ESPY Awards hosted by Justin Timberlake on July 16, 2008 at the Nokia Theater in Los Angeles. 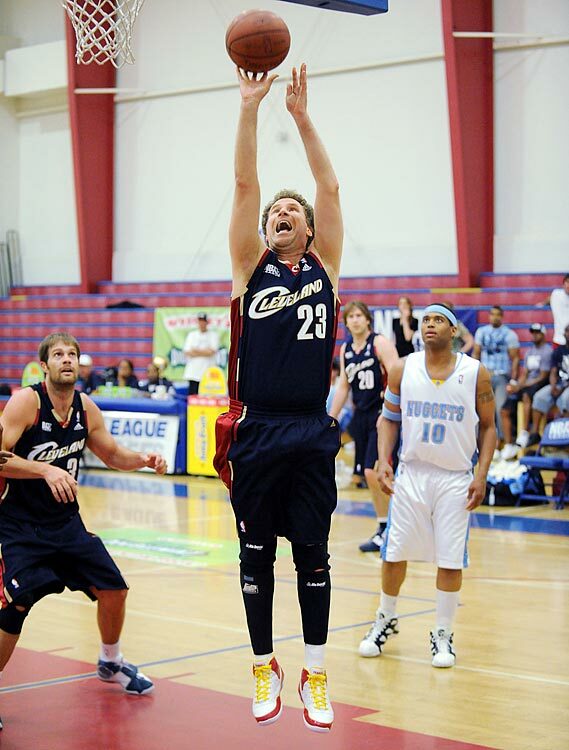 Will Ferrell of the NBA Entertainment League participates in the Double Mint Super Saturday event on April 12, 2008 at Cross Roads High School in Santa Monica, Calif.
Will Ferrell, dressed as Jackie Moon, poses with Heidi Klum, dressed as a Flint Tropics cheerleader, during an SI Swimsuit photo shoot on Nov. 28, 2007 at Smashbox Studio in Los Angeles. 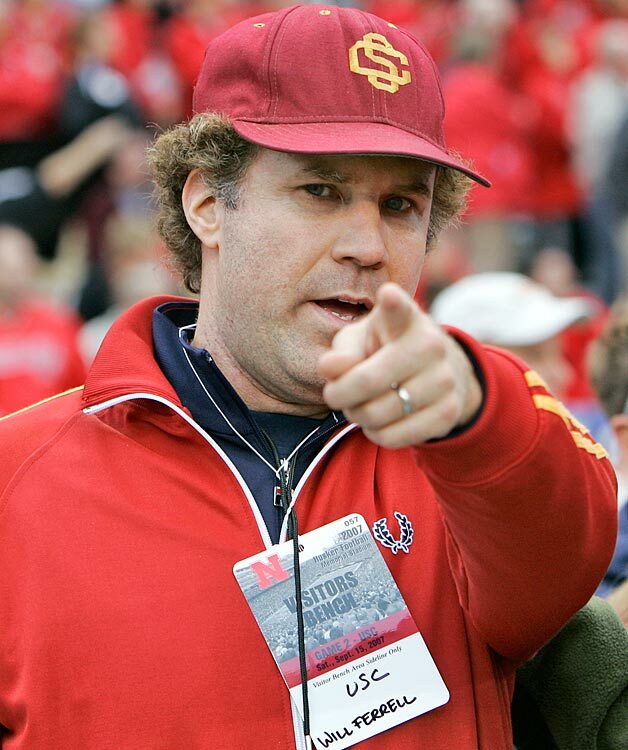 Will Ferrell attends the USC Trojans games against the Nebraska Cornhuskers on Sept. 15, 2007 at Memorial Stadium in Lincoln, Neb. Will Ferrell poses during a GOLF Magazine shoot on May 29, 2008 at Arroyo Trabuco Golf Club in Mission Viejo, Calif.
Helen Mirren puts up rabbit ears behind Will Ferrell as they attend the Oscar De La Hoya vs. Floyd Mayweather Jr. fight on May 5, 2007 at the MGM Grand Garden Arena in Las Vegas. 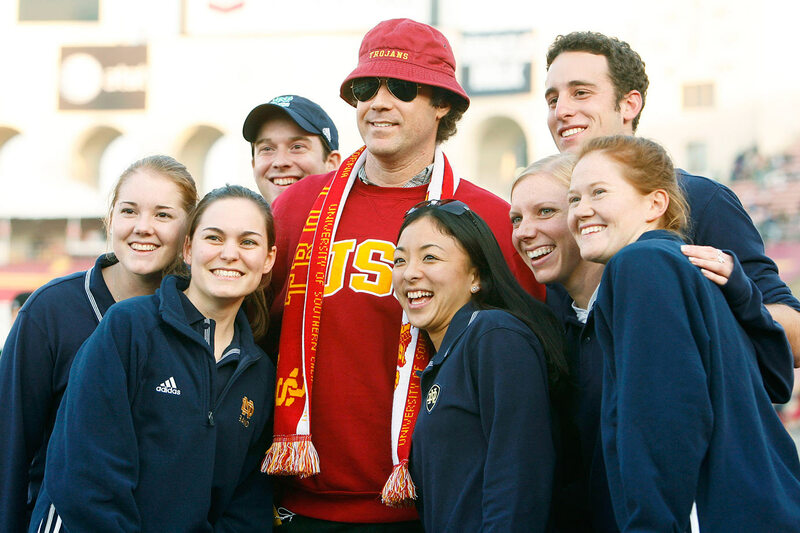 Will Ferrell poses with members of the Notre Dame marching band before USC Trojans game against the Fighting Irish on Nov. 25, 2006 at the Los Angeles Memorial Coliseum. 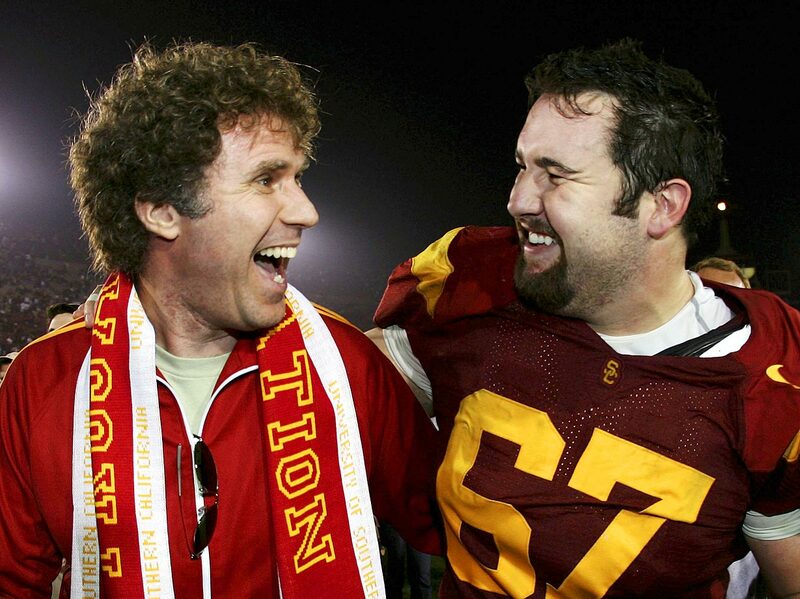 Will Farrell and USC center Ryan Kalil celebrate the Trojans' 23-9 win over the California Golden Bears on Nov. 18, 2006 at the Los Angeles Memorial Coliseum. 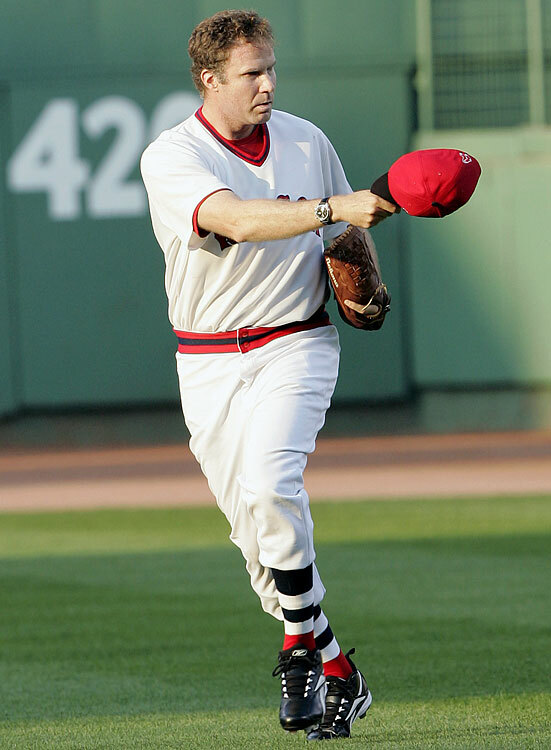 Will Ferrell tips his cap toward the Boston Red Sox dugout as he trots from the bullpen in mock relief to throw out a ceremonial first pitch prior to the Red Sox game against the Kansas City Royals on July 17, 2006 at Fenway Park in Boston. 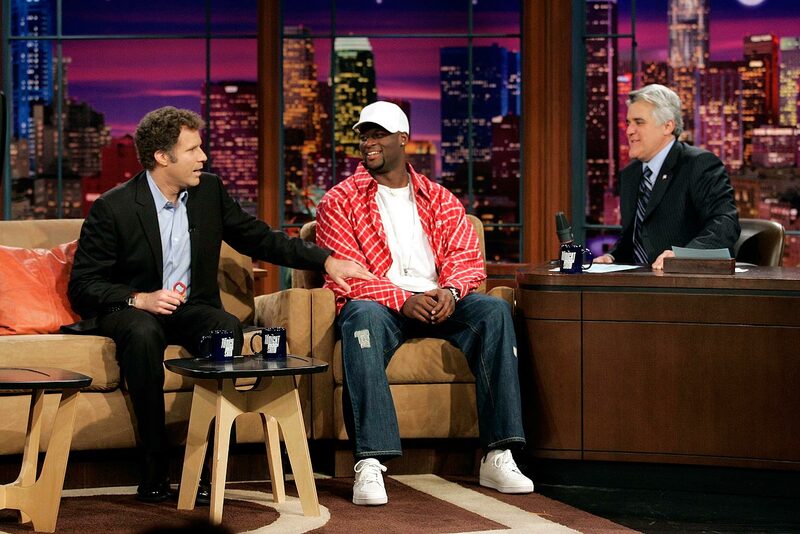 Will Ferrell performs a skit with host Lance Armstrong during the ESPY Awards on July 12, 2006 at the Kodak Theatre in Hollywood, Calif.
Will Ferrell gets out of the pace car before practice for the NASCAR Nextel Cup Series USG Sheetrock 400 on July 8, 2006 at Chicagoland Speedway in Joliet, Ill.
Russell Martin and Will Ferrell pose together prior to the Los Angeles Dodgers game against the Milwaukee Brewers on May 6, 2006 at Dodger Stadium in Los Angeles. 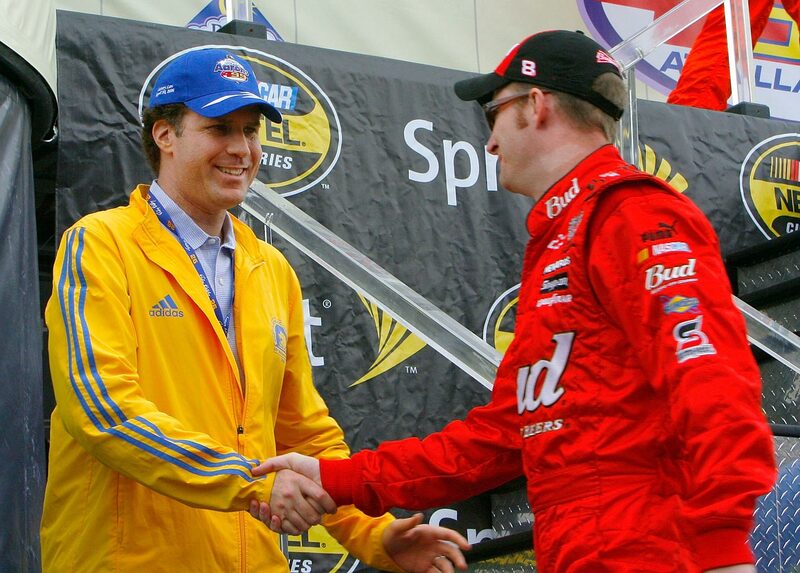 Will Ferrell and Dale Earnhardt Jr. shake hands before the start of the NASCAR Nextel Cup Series Aaron's 499 on April 30, 2006 at the Talladega Superspeedway in Talladega, Ala.
Will Ferrell jokes with Rose Bowl MVP Vince Young of the Texas Longhorns during the "Tonight Show with Jay Leno" on Jan. 5, 2006 in Burbank, Calif.
Carl Edwards and Will Ferrell pose together at The Yellow Carpet entry during the NASCAR Nextel Cup Awards Banquet on Dec. 2, 2005 at the Waldorf Astoria Hotel in New York City. 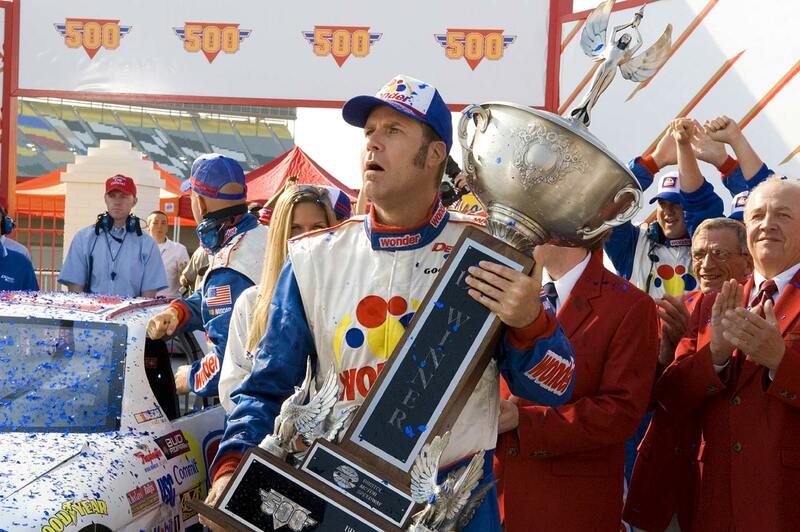 Will Ferrell cheers during the Charlotte Bobcats game against the Boston Celtics on Nov. 5, 2005 at the Charlotte Bobcats Arena in Charlotte, N.C.
NASCAR driver Ricky Bobby, played by Will Ferrell, holds a trophy in a scene from ''Talladega Nights: The Ballad of Ricky Bobby'' filmed on Oct. 20, 2005. 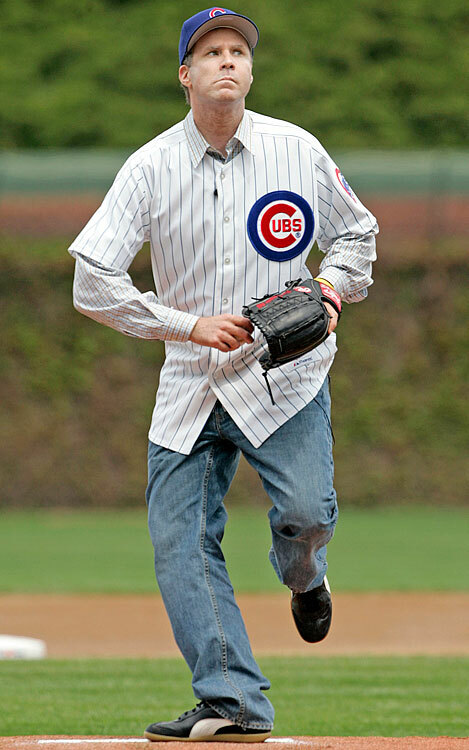 Will Ferrell prepares to throw out the first pitch for the Chicago Cubs game against the Philadelphia Phillies on May 7, 2005 at Wrigley Field in Chicago. 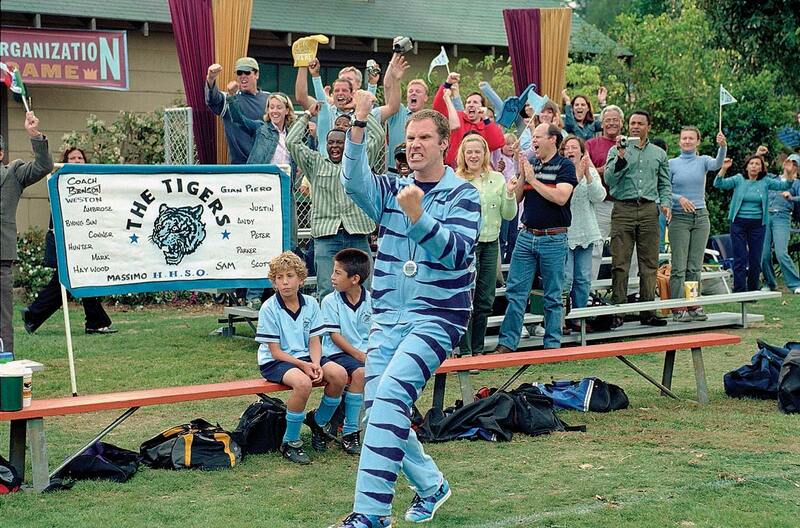 Will Ferrell, as Phil Weston, films a scene for the movie "Kicking and Screaming" on April 4, 2005. 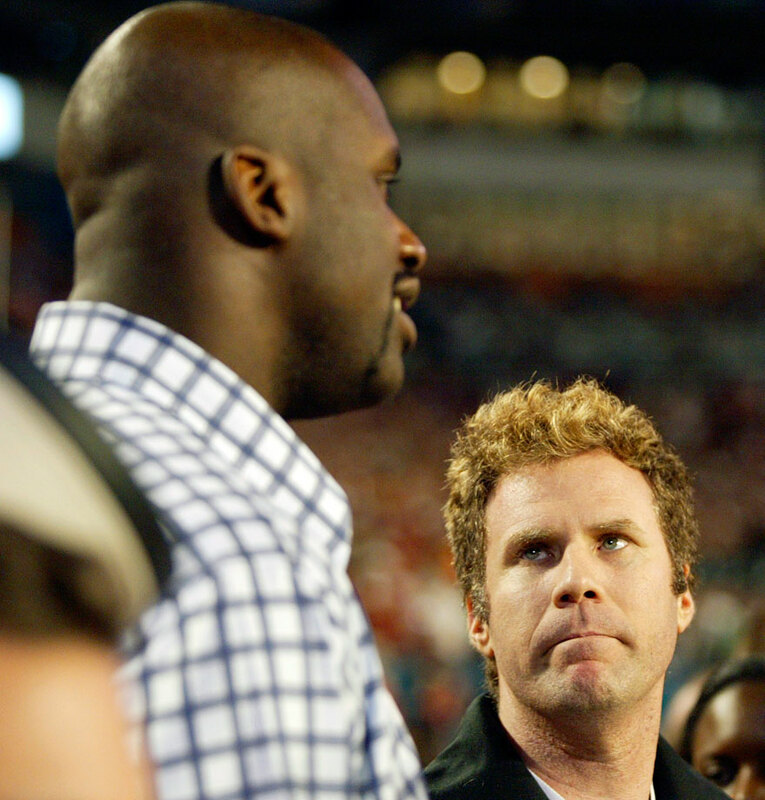 Will Ferrell looks up to Shaquille O'Neal during the BCS National Championship game between the USC Trojans and Oklahoma Sooners on Jan. 4, 2005 at Pro Player Stadium in Miami. 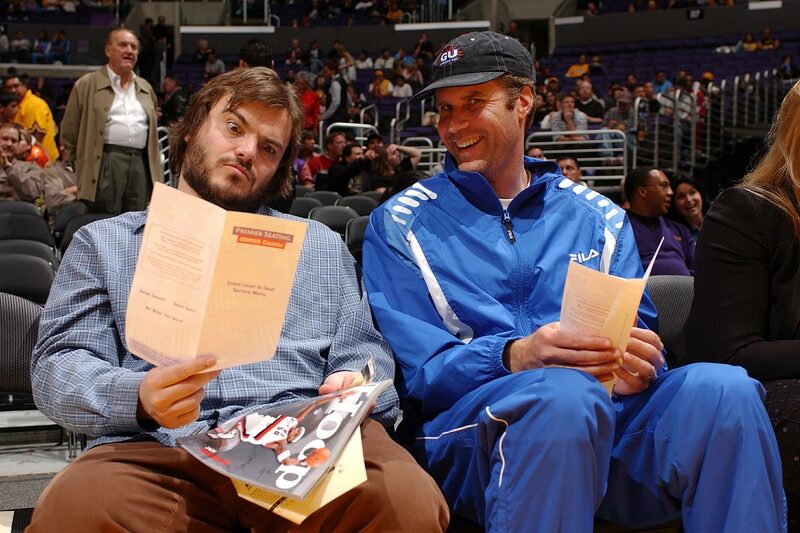 Jack Black and Will Ferrell attend the Los Angeles Lakers game against the Portland Trail Blazers on Feb. 17, 2004 at Staples Center in Los Angeles. 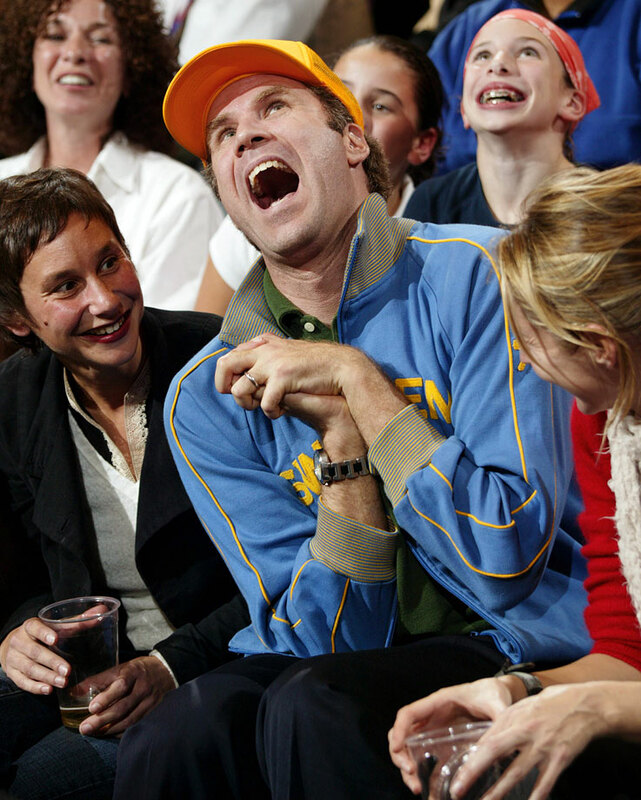 Will Ferrell reacts during the New York Knicks game against the Sacramento Kings on Nov. 7, 2003 at Madison Square Garden in New York City. 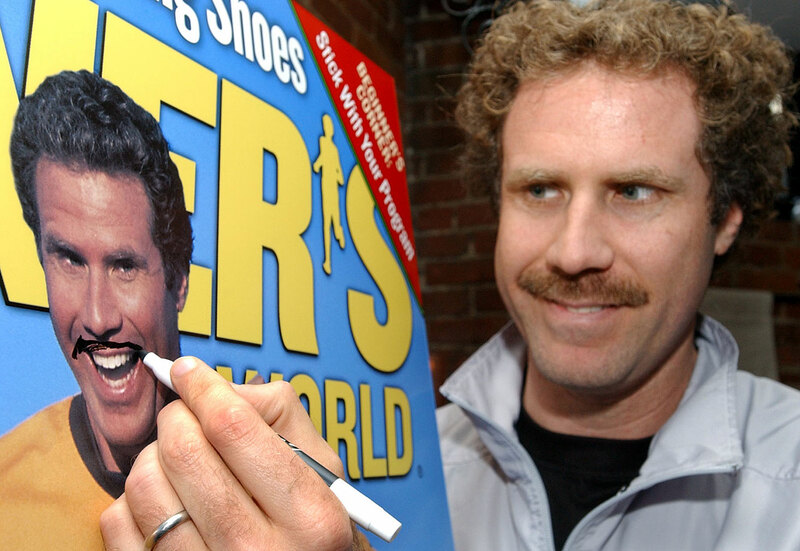 Will Ferrell makes an update to a blow-up of a recent Runner's World magazine cover featuring Ferrell during a news conference on April 20, 2003 in Boston. 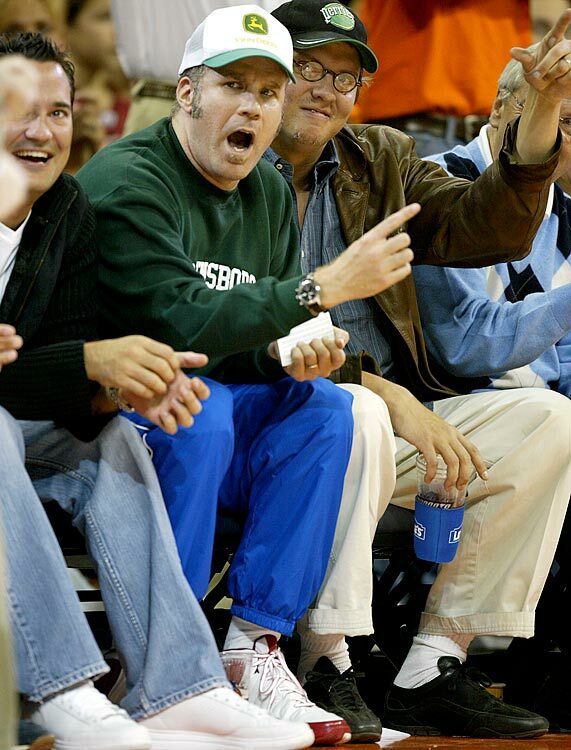 Will Ferrell kicks the ball away from Desmond Mason during the Basketball Challenge with the Seattle Supersonics on Oct. 13, 2002 at Key Arena in Seattle. 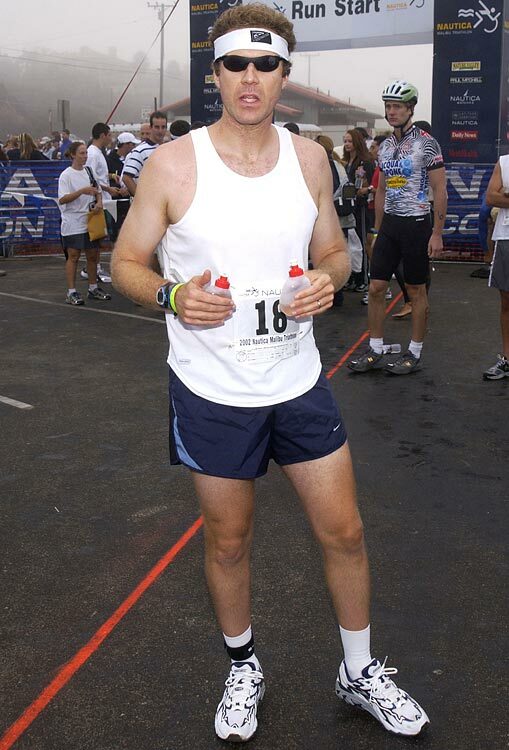 Will Ferrell stands ready at the 16th Annual Nautica Malibu Triathlon to Benefit the Elizabeth Glaser Pediatric AIDS Foundation on Sept. 15, 2002 at Zuma Beach in Malibu, Calif.